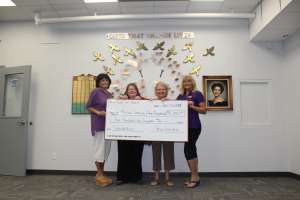 The Cancer Association of Havasu donated $5,000 for scholarships in honor of their Hero of the Year – Eagles Aerie 4299. The association also donated another $500 to the Rosemarie Coletta Memorial Scholarship. Both scholarships are for Lake Havasu City residents in the second year of the MCC Nursing Program. 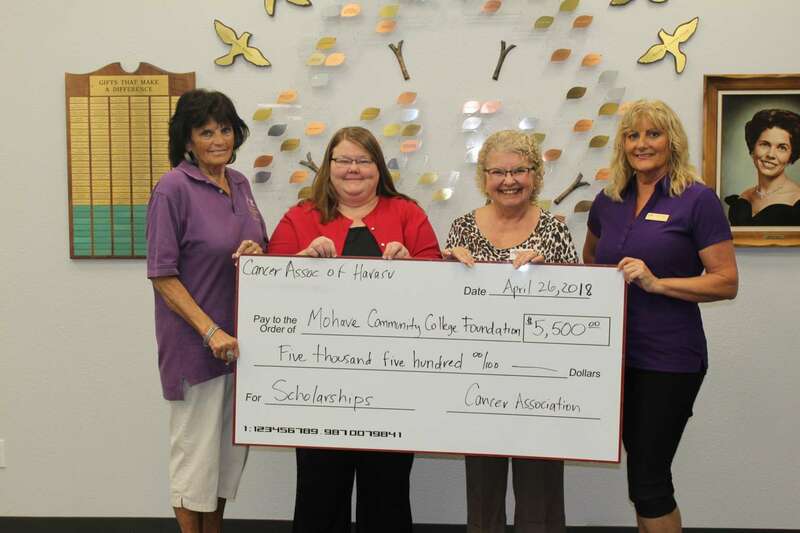 If you’d like to donate to scholarships, set up a scholarship or get involved with the Mohave Community College Foundation you can reach them online through the Foundation Contact Page or call 928-757-0846.